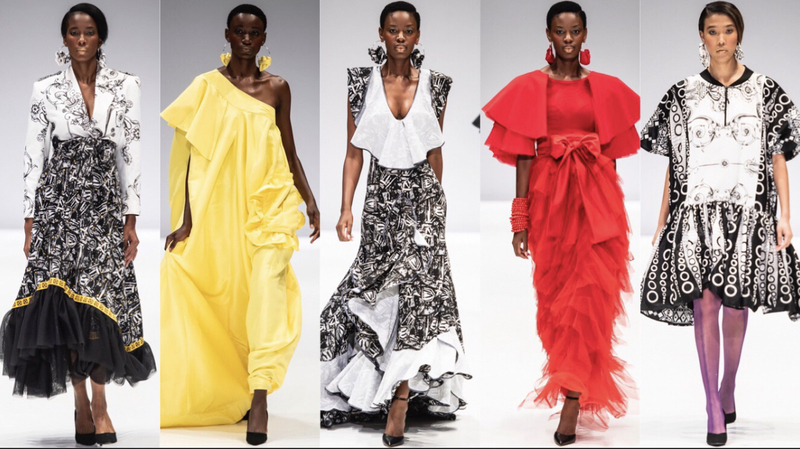 The SAFW Spring/Summer 2019 Luxury Collections continued with stunning presentations as award-winning designer and creator of Afro-chic fashion label Mantsho, Palesa Mokubung sent a vibrant monochrome-inspired collection down the runway. For the first time, the Mantsho brand explored the use of various prints of black and white in their SS19 Collection. The collection also came alive with pops of colours against the monochrome palette, signifying the bringing together of two contrasting worlds. The Mantsho SS19 collection is sure to cater to women who crave flowy and sophisticated ensembles for formal events and or any woman who simply wants to storm the red carpet the Mantsho way.